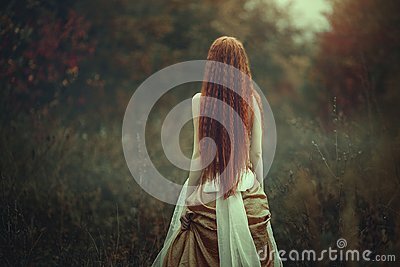 A beautiful young woman with very long red hair as a witch walks through the autumn forest. Back view. A beautiful young woman with very long red hair as a witch walks through the autumn forest. Back view. Creative colors and Artistic processing.